As a medical specialist on the U.S. Army or Army Reserve health care team, you will be able to grow your career with the support of one of the world’s largest and most renowned health care networks. Members of the Army Medical Specialist Corps have distinguished themselves and set new standards in their fields while also developing leadership and enhanced specialty expertise. Join an elite team of professionals and practice alongside some of the brightest medical minds in the world. Medical specialists on the U.S. Army or Army Reserve health care team enjoy access to a wide range of professional opportunities while providing the highest level of patient care. The Army Medical Specialist Corps is home to four specialties. The Army offers Medical Specialist Corps officers a substantial range of benefits to help you build a secure future. The Army Medical Specialist Corps offers unparalleled financial support for those earning a degree or already licensed and practicing. Start your career as an allied health care provider with a strong foundation, free of student loans. Joining our team means working alongside some of the world’s most elite specialists who are leading innovation and pushing the boundaries of medicine with the continued support of research funding and state-of-the-art resources. Your contribution is vital to our mission and will help make the world a healthier place. The U.S. Army is one of the world’s most innovative organizations with over 300 patents for new technologies in science, technology and medicine. 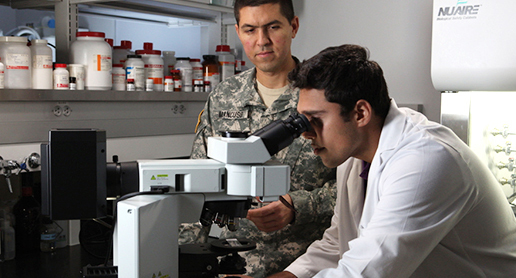 Army medical specialist providers are supported in research efforts and medical innovations. Currently, the Army is cultivating holistic and multidisciplinary approaches to health promotion through the Ready and Resilient Campaign (R2C). As part of this elite team, you’ll explore and pioneer in ways that make a big impact. Army medical professionals develop technologies and tools that reduce recovery times and increase quality of life for patients. For example, the U.S. Army Institute for Surgical Research has developed a wound-care mapping program to assist with identification and treatment planning of burn patients. In the Army Medical Specialist Corps, you’ll be part of an elite team at the forefront of medical technology. 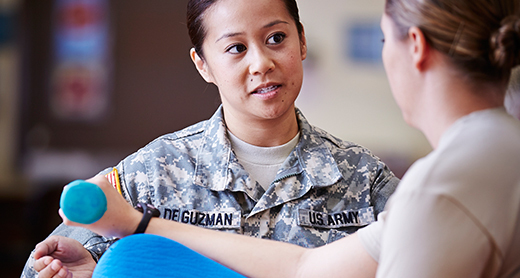 As part of the U.S. Army or Army Reserve health care team, you’ll be connected to one of the largest, most funded and high-tech health care networks in the world. Army medicine provides once-in-a-lifetime opportunities to lead and grow your career. You’ll have the chance to become a triple-threat health care provider by delivering quality patient care, advancing the profession through research and educating fellow staff and interns. With over 90 professional health care career paths, you can practice your preferred area of medicine with continued support from our team of world-class professionals. U.S. Army medical specialist providers practice their specialties with increased autonomy, providing diagnoses, utilizing a vast array of evidence-based interventions and referring to higher levels of care in order to provide excellent patient care. This allows for more time to provide high-quality care. Perfect your specialty and push the boundaries of your field with the support of a team focused on research, development and collaboration. 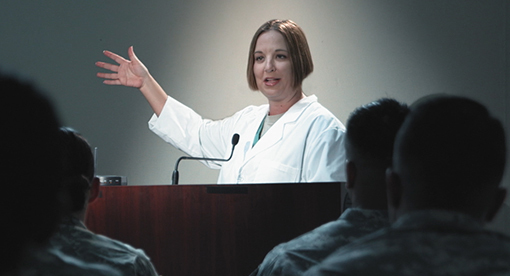 The Army gives you access to top medical minds around the world to pioneer new medical techniques and breakthroughs. This is your opportunity to advance the field of medicine. As part of the U.S. Army health care team, you’ll have the opportunity to expand your knowledge through continued education. You’ll also be able to impart your wisdom by teaching colleagues and incoming professionals. Learn new skills without the financial burden and share your expertise. LEARN MORE ABOUT BECOMING A HEALTH CARE PROFESSIONAL WITH THE U.S. ARMY MEDICAL SPECIALIST CORPS AND JOIN AN ELITE MEDICAL TEAM TODAY.